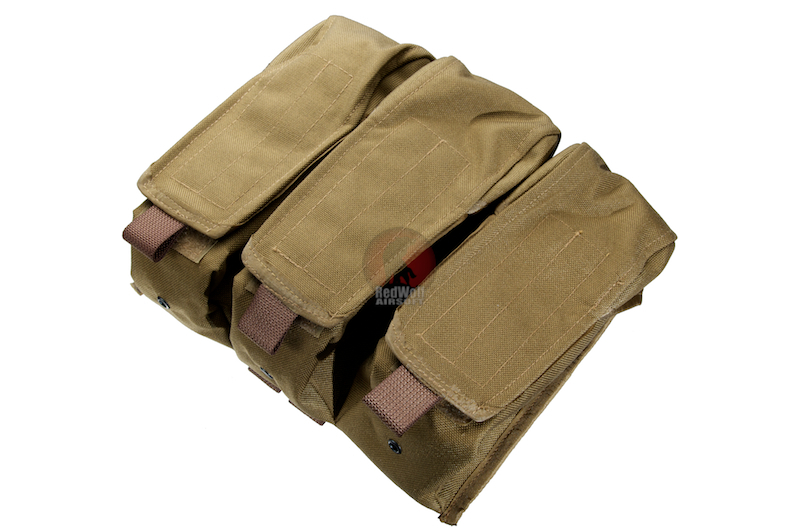 If you ever want to you go through an entire day of skirmish with an AK without feeling the need to refill your magazines with BBs, then this is the mag pouch for you! 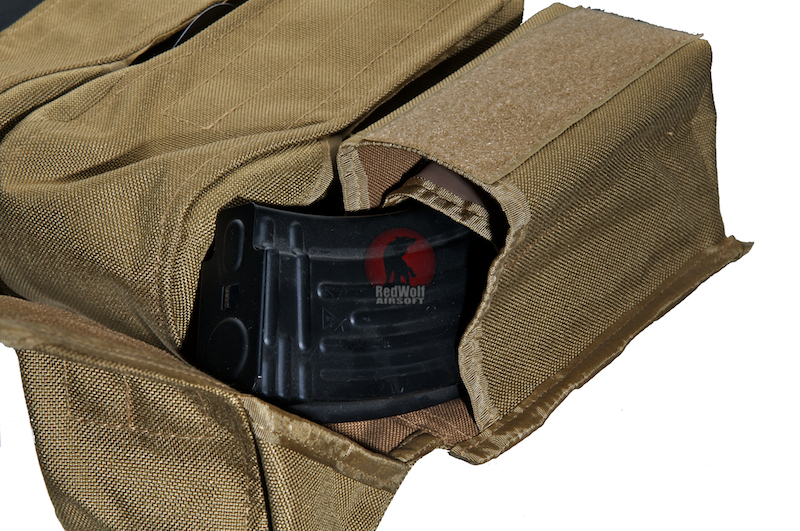 This cordura made mag pouch was designed and built to last as it is resistant to tears, scuffs and abrasions that may happen while out on the field. 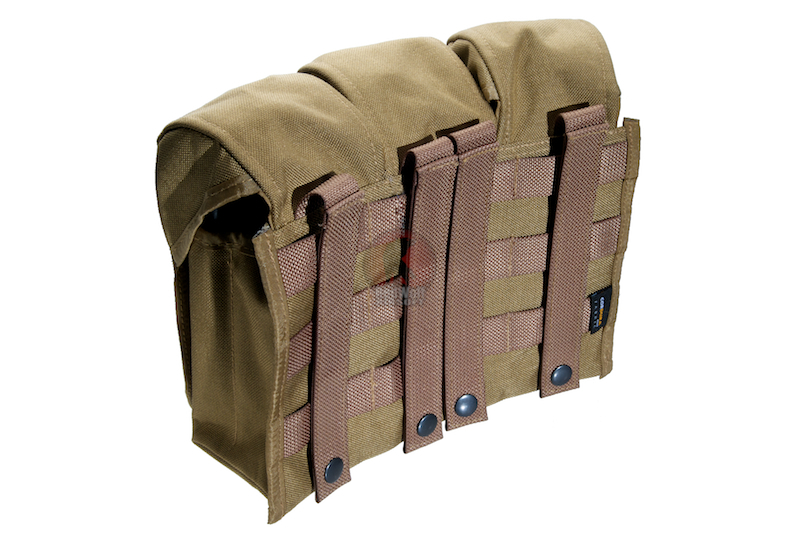 It's very lightweight as it needs to be considering you'll be fitting 6 full AK magazines into them! Imagine having a total of 7 hi cap 600 round magazines on you at one time. That is a total of 4200BBs for aegs... Or seven 30 round GBB magazines. That is still 210 BBs, in which case you may need to refill at least once if it is a full day skirmish. Game on!